What “being in business” means, whether you are a professional, a CEO, or flipping burgers. 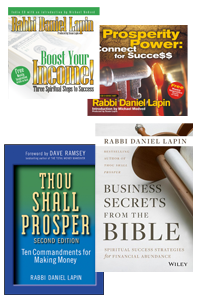 Rabbi Lapin’s best-selling books, Thou Shall Prosper: Ten Commandments for Making Money and Business Secrets from the Bible:Spiritual Success Strategies from the Bible will change the way you think about money and work. 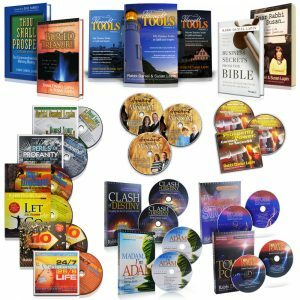 In addition to reading, listen to three hours of audio CDs that expand on and show you how to apply the principles from the books. Invest in your future! Join tens of thousands of people who have changed their lives by changing their approach to money. Hi, i really want to order this set, but get blocked as it doesn’t ship to my country…any way i can download it all?? How do i become rich and break the barriers that hold me back.I have worked for a long time but have achieved nothing.I want to be successful financially especially in the business world . What a tremendous set. After only 2 chapters I was Very excited. I am already listening to the CD’s a second time. WOW! What amazing insights for us normal people. I had not realized that these truths already proved true for my family. In the last seven years, because of serving others without money as a motivation, we saw our net worth triple. Furthermore, that amount then quadrupled. I recently told my wife that got to this place because of serving others. 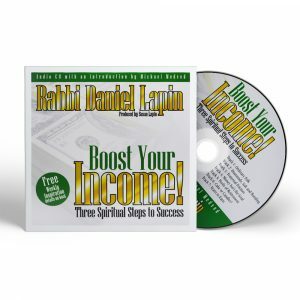 This was verified by what the income set teaches. My early grade school report cards had notes to my parents about how backwards I was (and still am), socially. How much more will I be blessed by connecting with and serving far more people. My son has a job because of volunteer work at a private school; a job possibility because of a dental cleaning; and yet another possibility from attending livestock auction with a friend. This really works. 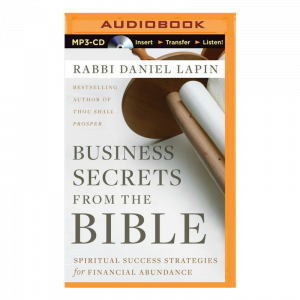 Thank you, Rabbi Lapin and to your wife, a great partner. Your teachings have inspired me to accomplish more than what I set out to do. 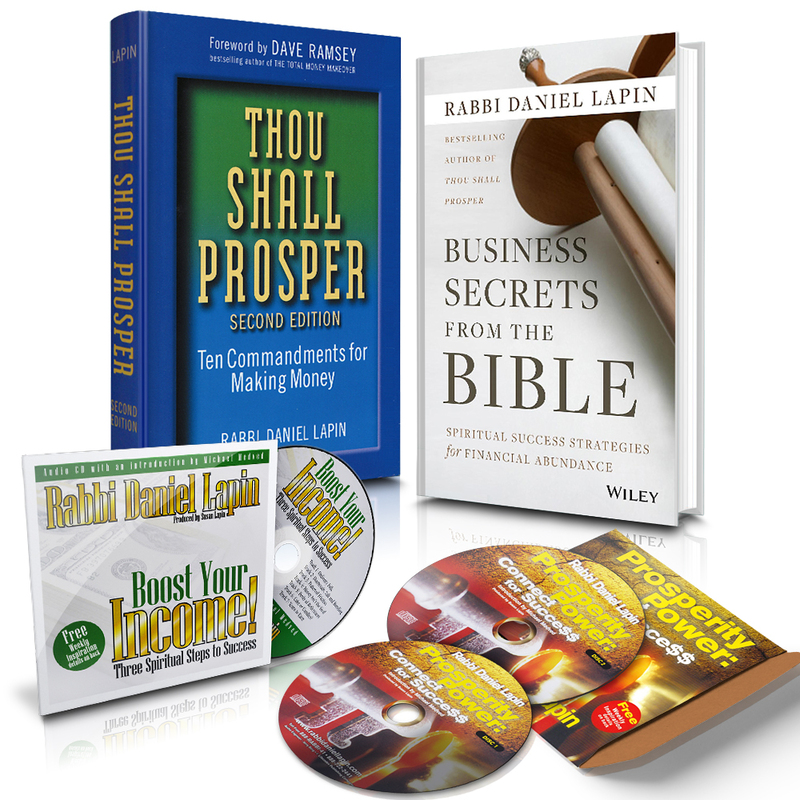 Your prosperity series is exactly what I needed. 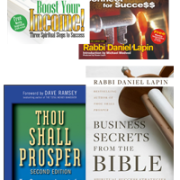 Your other teachings have help me understand the bible in great details. 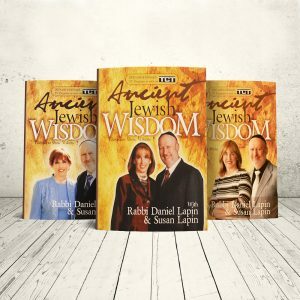 Now, I can use the wisdom to have a better life for me and my family.